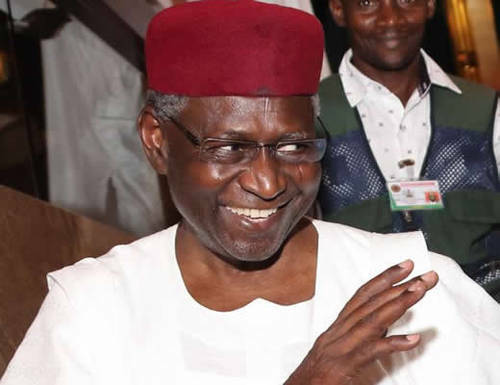 There are indications that President Muhammad Buhari has received evidence linking his Chief of Staff, CoS, Abba Kyari to a N500m bribe from the telecommunications giant, MTN Nigeria. The alleged bribe was aimed at softening the heavy fine the Federal Government had imposed on the telecommunication giant, says SaharaReporters. The Federal Government through the Nigerian Communication Commission, NCC, had in October 2015 slammed MTN with a fine of N1.04 trillion. The telecom giant in June 2016, however agreed to pay a fine of N333bn to the Federal Government of Nigeria. However, the new report said the evidence was presented to President Buhari several times including during the Sallah holiday. But Kyari allegedly replied that he was helping the All Progressives Congress, APC, raise funds for the gubernatorial election in Bayelsa State. Kyari reportedly claimed that President Muhammadu Buhari was aware of his involvement in the election, saying the President even asked him if he was the party Chairman, though did not relieve him of his post.